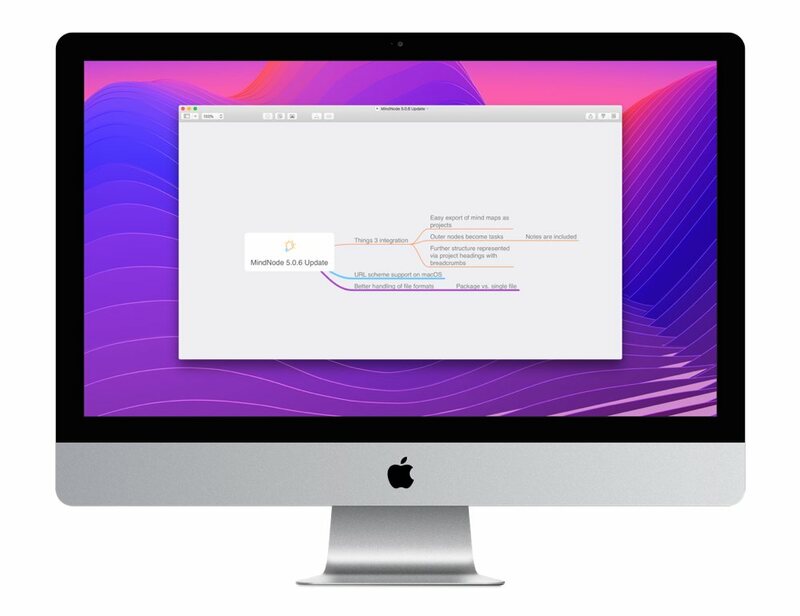 MindNode 5.0.6, on both iOS and macOS, is all about smarter integration with other apps, particularly Things 3. 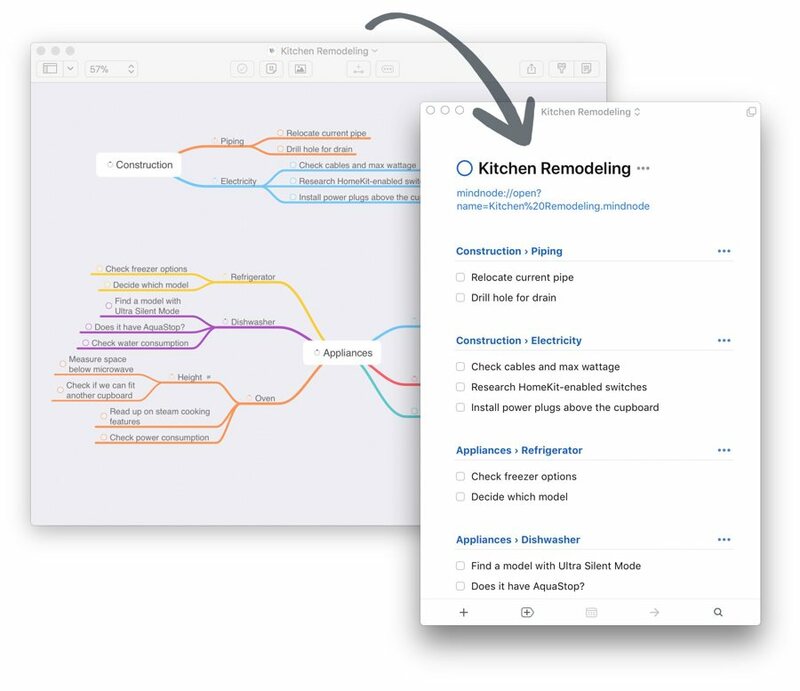 The latest update makes our pick for the best mind mapping solution that much better — and I wasn’t even a mind mapping person before MindNode. It’s not that the concept didn’t make sense or that I didn’t think mind mapping would be useful, it was just that the tools I had tried for it all felt too slow or cluttered. Mind mapping seemed like it should be fluid, quick — diagrams at the speed of thought. When MindNode unveiled their massive version 5 release in late November, I perked up and gave it a try. It was liberating; finally, an app that made the essentials effortless while still providing powerful advanced functionality across all my devices. I’ve only spent a few months with MindNode 5, but even in that brief time, I’ve found myself turning to it more and more frequently. Where I used to pop open Bear to “think out loud” using lists and sub-bullets, I now open MindNode and immediately get a more flexible, useful representation of my brainstorm. In the latest update to Things 3, CulturedCode unveiled a robust URL scheme. We’ve covered it pretty extensively already, but the essence is that it opens new doors for inter-app workflows. Behind the scenes, MindNode was preparing for this. Launched alongside the Things 3 update, MindNode 5.0.6 introduces a new approach to Things 3 export based on the new URL scheme. An important advantage of this approach is that the export is now equally capable on macOS and iOS. While the headline feature of MindNode’s new update is the Things 3 export, there are a couple other useful changes. The first is simple: MindNode’s URL scheme now works on macOS as well (it used to be iOS only), and there’s now a new “Copy URL Scheme” action in the iOS share sheet for MindNode documents, making it easy to grab a deep link to that document. The second improvement has to do with the way MindNode saves files. In general, the app defaults to a package format, common in many modern apps. Packages are essentially folders, but they look like single files. Under the hood though, they contain separate files for text, image content, etc. which makes syncing the files easier since only the changed components are updated. Not all cloud services handle these package files properly though, so MindNode 5.0.6 introduces a system that automatically saves the file in the most appropriate format based on where you’re saving it. Local and iCloud saves get the normal package format, while any other destination gets a consolidated single-file format. For now, this automated saving is iOS-only, but you can manually switch file formats on macOS in the app’s preferences. With these improvements, MindNode is now more deeply integrated into my working process than I ever thought it would be. All manner of projects start out as mind maps, where I explore ideas, structure components, and flesh out details. Then, once I’m satisfied, I can translate the entire map into an actionable project in Things and get to work on it. I wish all my apps worked together this well.